Hannity may have scooped me, but my conversation with Chuck Heath Sr. and Jr. will run immediately afterwards. I talked to them for about 35 minutes and it was a wonderful conversation! How many minutes do you think they’ll get on Hannity? I hope it’s a lot, because they deserve to be able to set the record straight. Join me tomorrow night at 10:00pm ET HERE. It will be a featured show on BlogTalkRadio and hard to miss. In fact, I teased Chuck Jr. about being a partier in college. He sent me an email after the interview and I’ll share that with you during the show. This entry was posted on September 23, 2012 at 9:37 PM	and is filed under Sarah Palin. 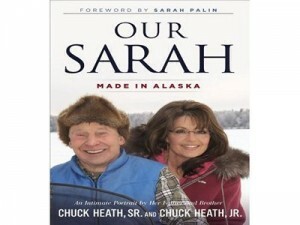 Tagged: Chuck Heath Jr, Chuck Heath Sr., Our Sarah, Our Story - Made in Alaska, Sarah Palin. You can follow any responses to this entry through the RSS 2.0 feed. You can leave a response, or trackback from your own site.